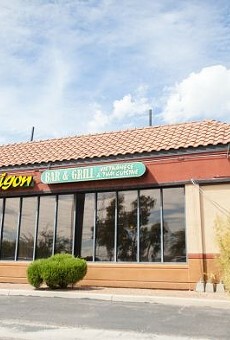 In just a few short years, we've assimilated Vietnamese cuisine into the Old Pueblo, as our perception of the French-, Thai- and Indonesian-influenced dishes has gone from wildly exotic to familiar and friendly. This understanding of our inner phô will also lead you to treasure hu tieu (rice noodle soup) bo vien (rice noodle soup with beef meatballs) and more. Wash it down with trà sa (milk flavored with almond, chocolate, coconut or even barley) or trà xanh (teas with guava, honey, green apple or peach). Though not as vegetarian-forgiving as some cuisines, Miss Saigon is a great experience to explore with friends.